As we all know at work, it takes a long time to find a tool that allows you to do several jobs at the same time to summarize the amount of work time, and with this software it facilitates those many tasks in a fast and safe way. With mailer mailerse facilitate the whole process of conducting an innovative marketing by email and is that it automates many processes such as sending responses to users simultaneously and also makes a high volume sent to the number of contacts as necessary by email , and everything at the same time. This software is specialized in sending informative or news bulletins about any campaign that you wish to carry out in this way. what displeases me in this regard of this application is that I would like that within its functions of personalization you would have more templates or predetermined bulletins to obtain better characteristics of this system. 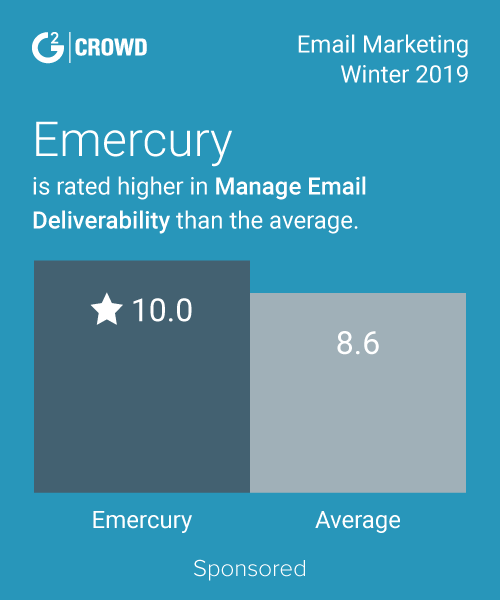 If you do not have a software that works with email marketing, then I recommend MailerMailer to test how it works and you'll see how it goes. You can increase your sales and personalize all your templates and newsletters to send the best possible advertising mail. It is also a professional tool for design and attract more customers. I can solve marketing problems specifically but using the mail as this way. It is important for me to use mail marketing because we are a company that specializes in cosmetic products and this way you can attract many potential customers by generating effective advertising in this way. it helps us of course increase sales and generate more income of course. "estimula el marketing y boletines por correo electronico." como todos sabemos en el trabajo toma mucho tiempo encontrar una herramienta que te permita hacer varios trabajos a la vez para resumir cantidad de tiempo laboral, y es que con este software te facilita esas tantas tareas de una manera rápida y segura. Con mailer mailerse facilitan todo el proceso de realizar un marketing innovador por correo electrónico y es que automatiza muchos procesos como lo son enviar respuestas a usuarios de manera simultanea y ademas realiza un envió de alto volumen a la cantidad de contactos que sea necesaria por correo electrónico, y todo a la misma vez. este software es especialista en enviar boletines informativos o noticiosos sobre alguna campaña que desees realizar por esta vía. lo que me disgusta en tal sentido de esta aplicación es que me gustaría que dentro de sus funciones de personalización hubieras mas plantillas o boletines predeterminados para obtener mejores características de este sistema. si no tienes un software que trabaje con marketing por email, pues te recomiendo MailerMailer para que pruebes como funciona y veras como te va. podrás incrementar tus ventas y personalizaras todos tus plantillas y boletines para enviar el mejor correo publicitario posible. ademas es una herramienta profesional para el diseño y atraer mas clientes. puedo resolver problemas de marketing específicamente pero utilizando el correo como esta vía. es importante para mi utilizar el marketing por correo ya que somos una empresa que se especializa en productos cosméticos y por esta vía puedes captar muchos clientes potenciales generando una publicidad efectiva por esta vía. nos ayuda por supuesto incrementar ventas y generar mas ingresos por supuesto. "decent tool for newsletter and email campaigns"
Mailer Mailer has created a useful tool when needing to create a newsletter. The system is fairly easy to utilize and allows you to customize and and layout the information. Implementation and design for newsletters is fairly easy and straight forward which is great, I do not have a bunch of free time to mess with that. using large mailing lists doesn't always work and doesn't seem to be supported. It's a bit pricy (for a smaller size organization) this product so I would have expected more capacity. Wish they offered more SMB pricing. I am fairly pleased with this product. The great ease and use of it far exceeds the few small headaches. Easy to promote and create newsletters and send mass mailers to our customers. This software has great email deliverability service and also gives you an option to customize the graphic or logo used in the mail. This software gives you detailed information about the your campaign and they also ensure the safety of your data. The worst thing about this software is that it offers only two templates whereas by it's pricing it should offer more templates. Also integrating was not done when I tried to integrate this software with the wordpress site. Really they have best email delivery service when it comes to your business but template in a mail is very important thing and due to availability of onlt two templates, I stopped using it. "Best tool for your emails campaigns and newsletters"
I love how Mailer Mailer is easy to use for your email campaigns and newsletters, I used it with my e-commerce store and my sales increased a lot, you can customize your layout for the best performance, everything is automated if you set the tool in the right way, you can customize everything to make your campaign in the most efficient way. Prices are too high in my opinion, also it's not compatible with a lot of mailing lists. I own an e-commerce store and it helped me with my campaigns, my sales increased a lot with Mailer Mailer. "Easy to use to create marketing campaigns "
Mailer Mailer has been very useful when we started creating newsletters for our students. The easy to use system helped us customize and easy to layout our information. It was also very easy to implement and design the newsletters. What we disliked about it was that when we implemented it unfortunately after 4 months the company shut down its operations thus we were not able to make full use of it and had to make a switch. Although it has been a great tool, unfortunately since they are not in operation thus I am not able to recommend the product now. The main problem solved was to convey information to our students in an efficient way and we reap the benefits as a lot of people opened the newsletters sent. "Very helpful in sending newsletters"
Best marketing strategy for Business to Consumer companies. More automated emailing procedure and less manual input required. Not very compatible with large mailing list. It is more suitable when you own a small business and small emailing list. It is very user friendly and in expensive when you own a start up. It helps you reach more customers with one template and also helps you track their responses. Overall, a very good software for direct marketing and marketing research for start ups. It will help us reach more customers at one time. What I like most about this service is that it is used worldwide in successful companies, everyone uses this tool for advertising and marketing through email, it is easy to use and adapts to the needs of customers. There is more strength in this tool to be used by more companies around the world. use it, ease of use. "Newsletters and marketing with mailer mailer"
"Best app to send bulk emails "
To grow my business it was very helpful as I was able to send bulk emails for my business purposes. Easy to use email marketing service. When we first looked at the product seemed easy to use, few templates to choose from, sign up form, everything customizable. Was lacking the integration with WordPress, might not be GDPR compliant. Got rebranded? The ease of use and templates are helpful. It was acquired by J2 and is not the same. I sent out a lot of great information to customers via mailer mailer newsletters. I feel that we had repeat customers due to that. "This is something you’ll want to use!" The ease of use makes this app efficient. There are also many options to choose from. Other than pricing there is nothing I dislike. The efficiency of sending out advertisements. * We monitor all MailerMailer reviews to prevent fraudulent reviews and keep review quality high. We do not post reviews by company employees or direct competitors. Validated reviews require the user to submit a screenshot of the product containing their user ID, in order to verify a user is an actual user of the product. Hi there! Are you looking to implement a solution like MailerMailer?